DUBAI, UAE: PRNewswire: The eyes of the world were on Dubai this evening as Dubai Opera held its first performance. 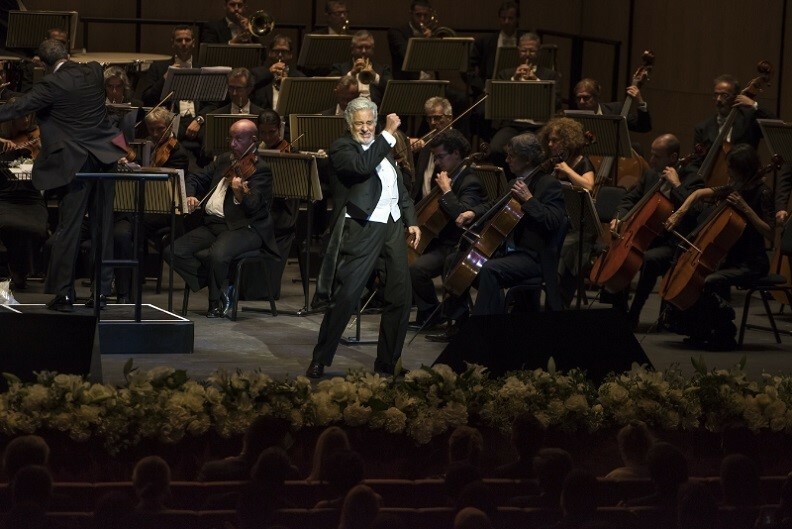 Offering a first glimpse at one of the most anticipated venues to open in the UAE’s history, a lucky few were able to witness a breathtaking performance by world-class tenor Plácido Domingo. With tickets for the first show at Dubai Opera selling out in just three hours when they went on sale in April this year, guests were welcomed from 6pm with canapés and beverages before taking their seats for the performance of a lifetime. Set to host an incredible range of world-class talent already, Dubai Opera can seat up to 2,000 people for opera, theatre, concerts, art exhibitions, orchestra, film, sports events and seasonal programmes and is the centrepiece of The Opera District. The programme of events will allow visitors to experience world class performances in the most spectacular venue in the Middle East. The Dubai Opera programme is available to view online and tickets to The Pearl Fishers, The Barber of Seville, Opera Without Words, Coppélia, Giselle, Postcards from Vienna, Mozart Gala, Impossible, José Carreras, Vivaldi’s The Four Seasons, Sara Baras, Anoushka Shankar, Béjart Ballet Lausanne, The Nutcracker on Ice and Slava’s Snowshow can be purchased online at dubaiopera.com. Dubai Opera is a truly unique venue and the city’s first purpose built multi-format performing arts theatre, situated in the heart of Downtown Dubai. With an iconic dhow shaped design rooted in Emirati heritage, Dubai Opera offers the ultimate flexibility of a proscenium arch theatre, an acoustic concert hall and a 2000m2 flat floor event space, and is the definitive destination for quality entertainment productions and performances. Dubai Opera’s stage will host an incredible array of world-class talent, with opera, ballet and classical music concerts and productions at the core, Dubai Opera will also stage musical theatre, fashion shows, jazz, comedy, family shows and a full range of live entertainment.